This was a throwback to many lost loves. 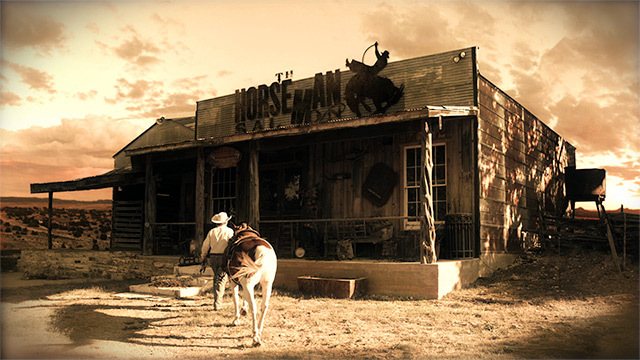 For me, it definitely reminded me of my Hell is Texas days, as “The Horseman Saloon” looked almost as familiar to me as the Boca Seca Saloon from my first feature. On top of everything else, local legend Gary P. Nunn made his music video debut, for Tessy Lou and the Shotgun Stars‘ first narrative video. And I got to focus on the role of Director of Photography for this one, which was nice, leaving directing in the capable hands of Jeff Stolhand. As with all these low-budget quick-and-dirty shoots, there are sacrifices made… but there are also classic western ghost stories that haunt you like the aftertaste of cheap whiskey, and this was a nice one, complete with soft and smoky visual effects to chill the heart and warm the fading memories.